Purchased from Blaine Reed and he labeled this as 1AC. When looking at this up close in person it really is hard to see a definative (C) – possible controversy!! 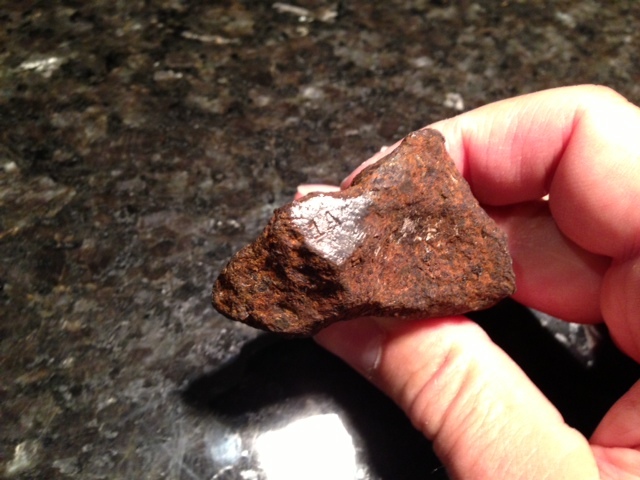 Deport is an Iron, Coarse Octahedrite (IAB). Found in Red River County, Texas in 1926.